Learn more about AscendixRE CRM. It is easy! Please feel free to get in touch with us if you have any questions. Are you about to start using AscendixRE? Watch this 15-minute video that walks you through your AscendixRE trial. 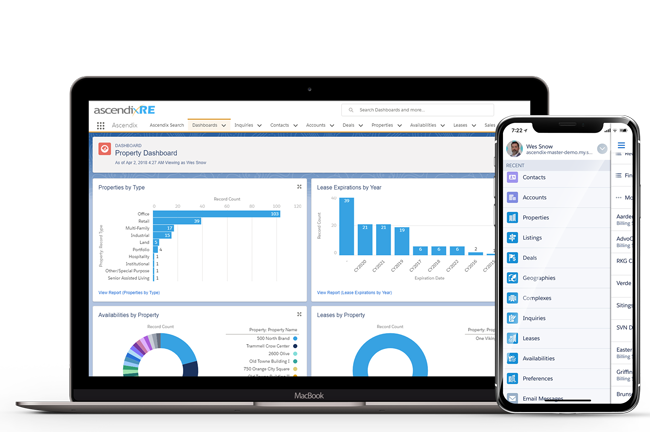 We cover some common questions posed by Listing Brokers & Tenant/Buyer Reps.
Watch our AscendixRE Demo overview video to see the key CRM functionality in action. AscendixRE is a highly customizable CRM system and we can help you to add custom functionality you need. Learn more about our CRM services. Ascendix Search app for building lists of prospects, mass edits, performing map search, tracking lease expiration and more. Learn how other brokers use Ascendix Search. Composer report writer to generate Property tour books, activity reports and other CRE reports right from your CRM. Add property listings functionality to your website and integrate it with AscendixRE. All AscendixRE Enterprise users get our Concierge service at no cost. We'll help you to enter your data to AscendixRE, can create reports, manage your calendar and more.